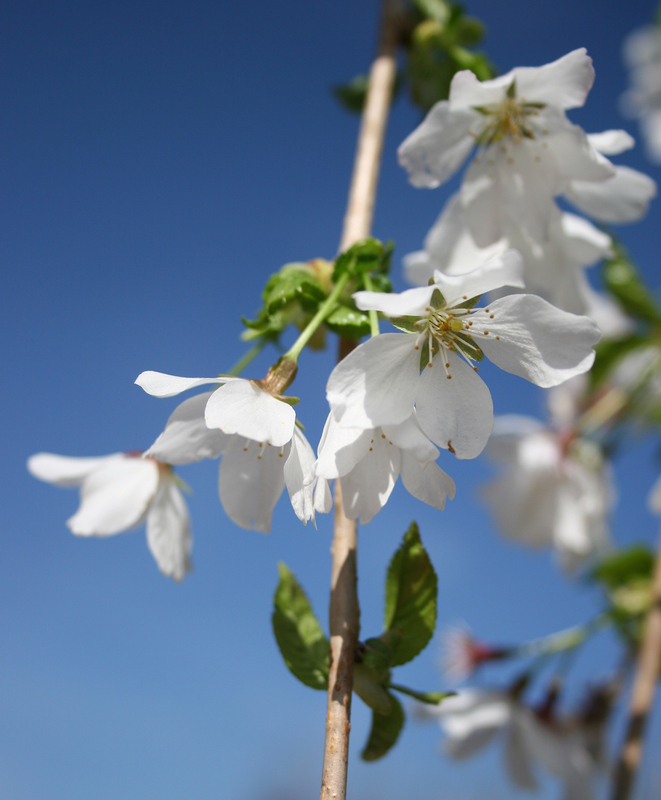 Our tree and specimen shrub nursery, New Place Nurseries produce an excellent range of top quality Ornamental trees, Fruit trees, Soft fruit and Specimen shrubs for the Garden Centre Market. 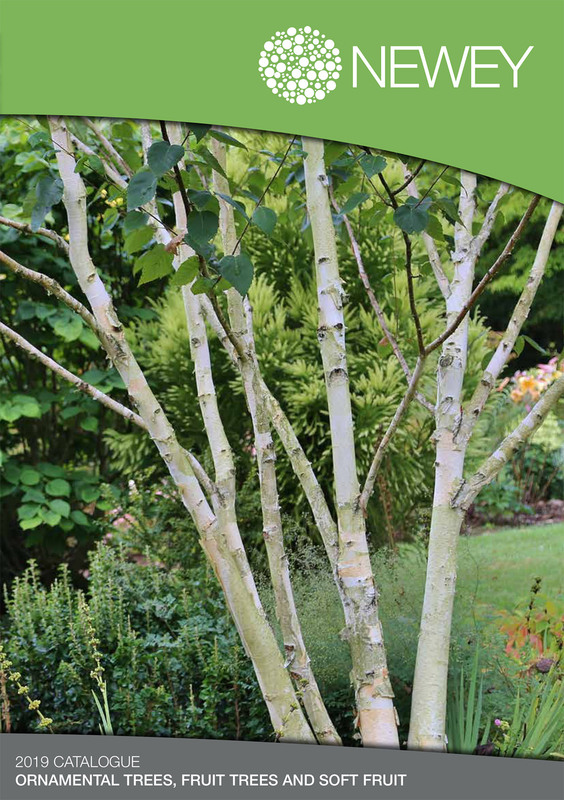 Set on the picturesque south facing slopes of the South Downs, New Place Nurseries supplies premium quality container grown trees, specimen shrubs and soft fruit. The extraordinary light levels of the area optimise quality and together with the expansion of the growing facilities is allowing for even greater production. New Place Nurseries now has a market leading reputation. 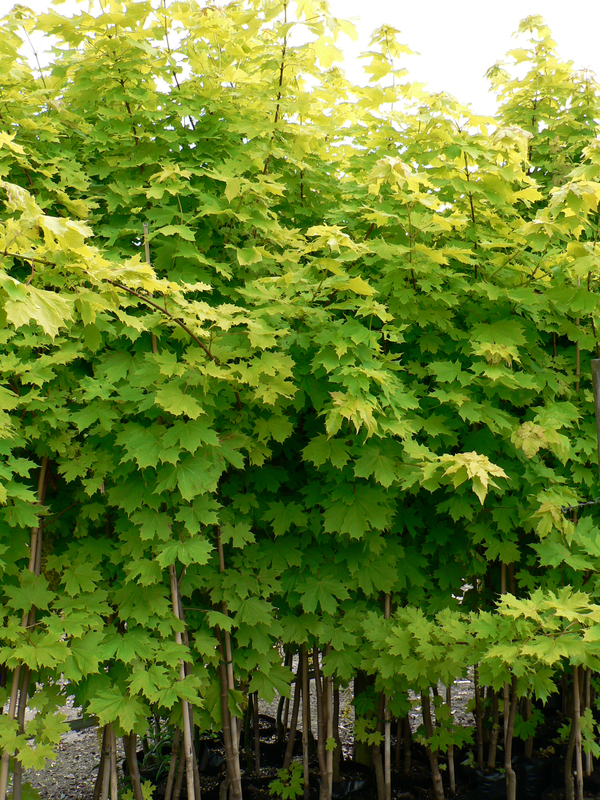 This Norway Maple shows striking, clear yellow spring and summer foliage. 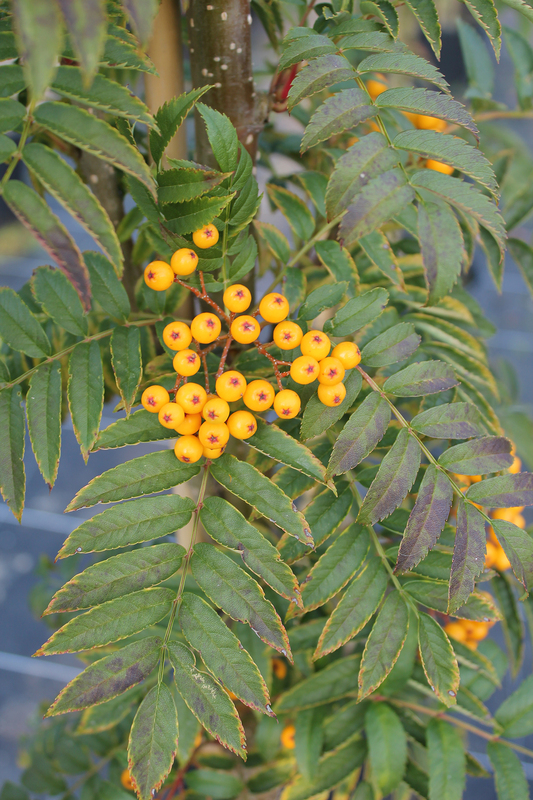 One of the very best for golden yellow leaf colour, it is resistant to sun scorch and very hardy. Raised from a seedling of Joseph Rock. 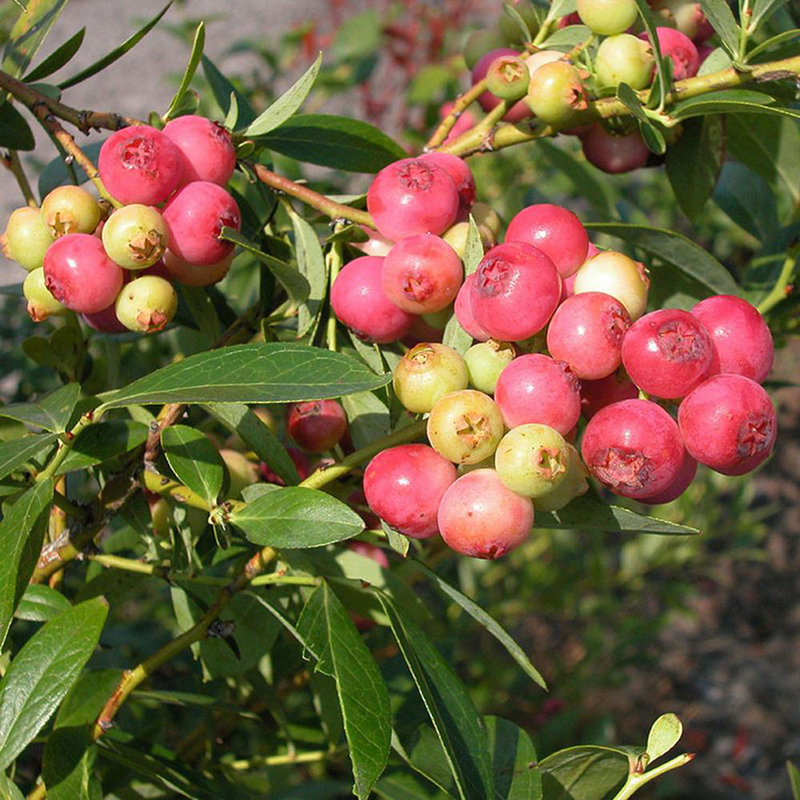 It has an upright habit and produces yellow-orange berries in the autumn, which contrast well with beautiful autumn leaf colours. 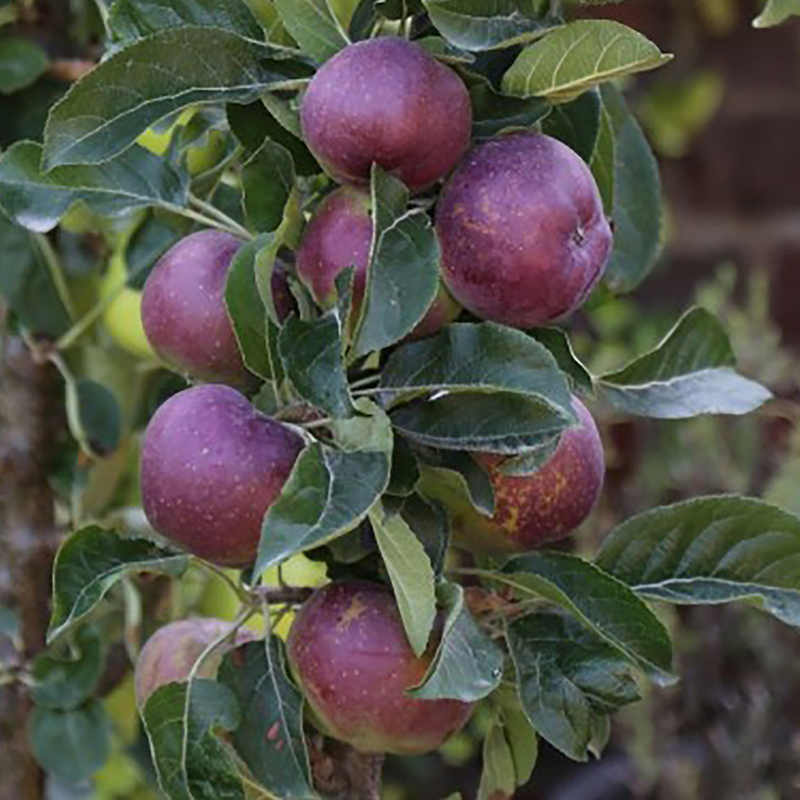 A heavy cropping variety with attractive, purple-blue fruit that have a juice crisp flesh and sweet/sharp flavour. 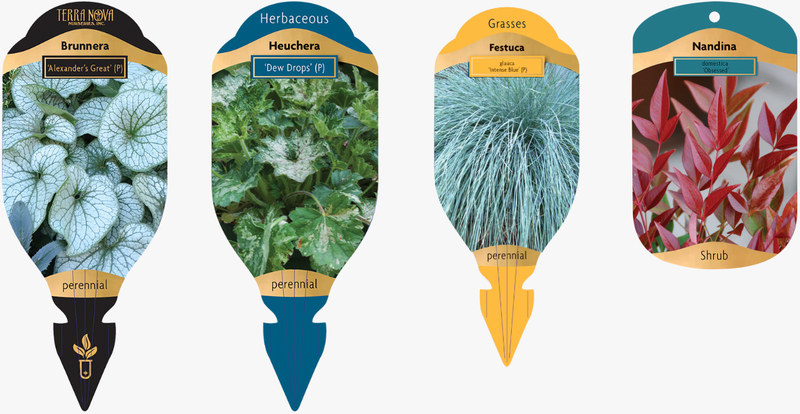 Self-fertile and resistant to scab and mildew. 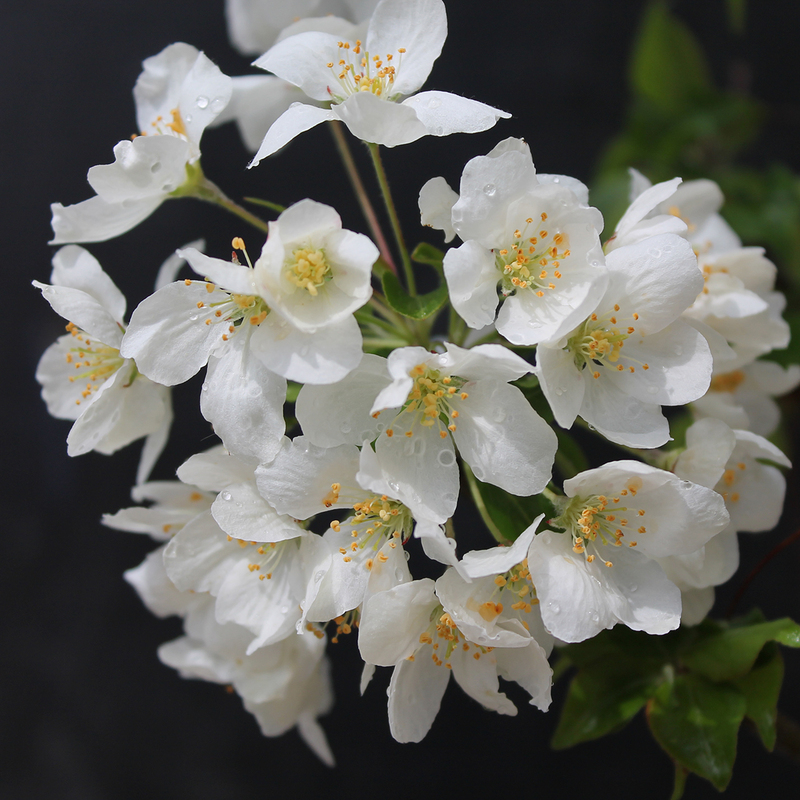 A beautiful variety with long, pointed, dark green leaves and an abundance of shell-shaped, ivory flowers in May. 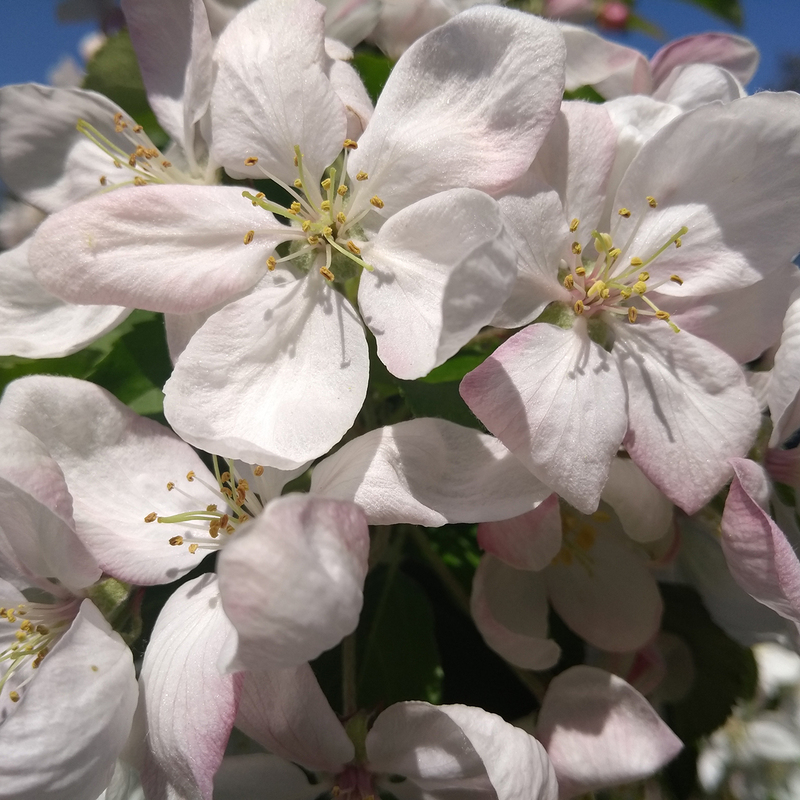 One of the best flowering Malus varieties.